Q. Which brand of trimmers do you prefer for sharp crispy edge ups? A. I prefer the Wahl Detailers. It has a clean, close t-edge blade that allows you to detail to perfection. How do you convey the art of male grooming to the average male in the barber shop? It’s not just your average haircut. 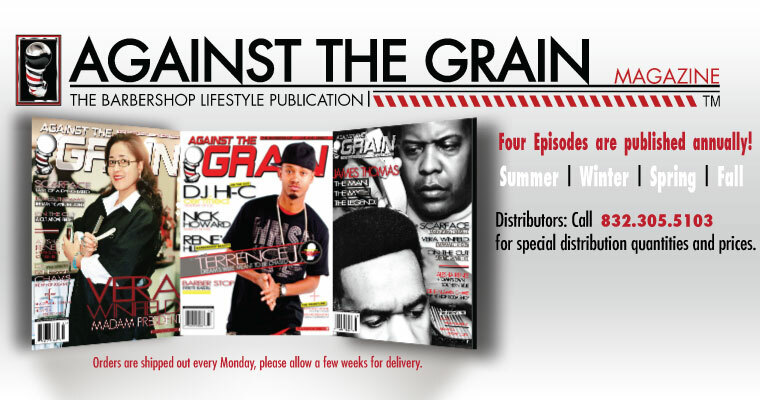 COPYRIGHT © 2011 AGAINST THE GRAIN MAGAZINE • ALL RIGHTS RESERVED.